There's more money going out than coming in. You just can't seem to get your money in order. Looking at your finances is such a drag. Budgeting is too time consuming and not worthwhile. "The average millionaire has made a habit of budgeting every month. They know what’s coming in and what’s leaving their bank account." "Self-made millionaires became millionaires by budgeting and controlling expenses, and they maintain their affluent status the same way." If you're looking to become a millionaire, or just have enough to cover your needs and wants, budgeting is the first step. Following a budget means you spend more on what you want to be spending your money on and less on what you don't - increasing your happiness by tenfold! Since I began budgeting, I've been able to have money to invest in stocks (and make over 100% return), buy not just 1 property, but 3 properties and create a net worth of over $1/2 million. I've been able to achieve my financial goals in a way I never thought possible and you can too! Are you ready to finally feel financially fit and drop the money struggle?? 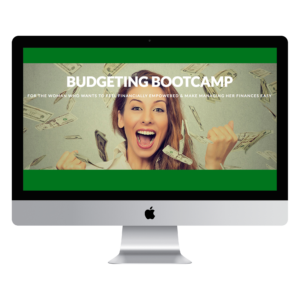 Then Budgeting Bootcamp is for you! It's all about setting up a simple money system to create the wealth you desire so you can master your money and start living the life you want (finally take that vacation you've been dreaming about or buy your dream home). Money will always be a big part of our lives (whether we like like it or not) so the sooner we start mastering our money, the sooner we'll be able to become financially free - not having to worry about working for money or relying on someone else for money. We can become the masters of our own money instead of having our money master us. It's time to take control of your finances and make your life a lot easier. Start making your money work for you so you can take that vacation to Italy, buy your dream home, or go on a guilt-free shopping spree. Stop being afraid to look at your finances or getting frustrated every time you try to start a budget and instead feel in control of your money. Start reaching your financial goals so you can look back on the past year and be excited, instead of depressed, to see how far you've come financially. Bust through any limiting beliefs or myths you've had about budgeting. Get a clear understanding on why budgeting hasn't worked for you in the past so you can take the steps to move forward. Budget template included so you don't have to do the heavy lifting! Learn step by step to create a simple, but effective spending plan (aka budget) so you can start spending money on what you really want. 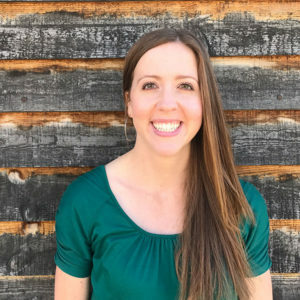 Discover how to easily update your spending plan with Mint.com (a free resource) and my spending plan template so you're taking hardly anytime at all to update your budget. Discover the #1 reason people don't actually follow their budgets and how to overcome it. Learn the 5 steps to becoming a conscious spender so you can stop feeling guilt or regret about spending money and start feeling empowered to spend your money where it matters the most to you. Discover the #1 question to ask yourself every time you spend money so you can get rid of buyer's remorse once and for all! Find out my top 15 tips for achieving your financial goals (which can also be applied to other goals) so you can get what you want financially (dream house, vacation to Bali...). Discover how easy it is to reach your goals so you can get to where you want to be financially. BONUS! I share with you my top 2 recommended budgeting books. These books helped me get started on the path of taking control of my finances so I could purchase my third property in 2016. 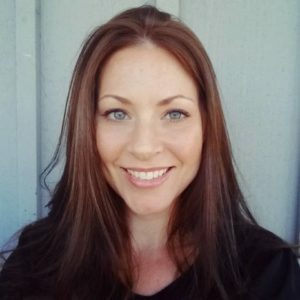 Tiffany’s budgeting bootcamp course is exactly what I needed. Budgeting is something I wanted to do but really didn’t know how to go about it and make my money work for me. This course really breaks down the pieces to setting up a budget so it is easy to understand and implement. Her course gave me so much needed information that I am now confident in doing it myself! Hey there! I'm Tiffany Thomas and I love helping individuals become financially free. The budgeting system I created is designed to help you take control of your money and reach your financial goals. It worked for me and I know it can work for you! I've created a net worth over $1/2 million with my budgeting system as the foundation. Once you've taken control of your money, you'll be able to take the next steps to becoming financially free so don't delay any longer. Take the first step toward financial freedom by signing up for the course today so you can start living your dream life sooner than you thought. Get the step by step instructions to take control of your money so you can drop the money struggle once and for all. Q.When does the course start and finish? A.The course starts now and never ends! It is a completely self-paced online course – you decide when you start and when you finish. Q.How long do I have access to the course? A.How does lifetime access sound? After enrolling, you have unlimited access to this course for as long as you like – across any and all devices you own. Q.What if I would like a refund? A.We would never want you to be unhappy! If you are unsatisfied with your purchase, please contact us within the first 7 days from your date of purchase to request a refund.